I’m excited to announce that I wrote another new book, The Carnivore Diet Handbook. This is the book I wish I had when I started my carnivore diet. 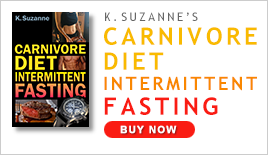 I wrote The Carnivore Diet Handbook because I’ve been loving my experiences on a carnivore diet so far, and I wanted to share everything I’d discovered to help you do it, too! Tons of people are curious about this diet, and people have lots of questions. I took everything I learned about trying the carnivore diet and put it in an easy-to-read book. You’ll learn exactly how and why I started this diet. I used to be a body-builder way back in the day! I’ve been fascinated by health and fitness for over twenty years, beginning at age 19 when I was a competitive bodybuilder. I remember the days fondly when I would eat an entire rack of ribs (sometimes 2 racks), every day for a week, leading up to a competition. 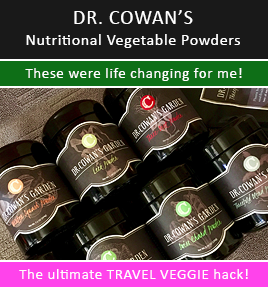 Then things changed… I went vegan! In my mid-twenties (no longer bodybuilding), I became a vegan, primarily for ethical reasons, but I dove deeply into the pro-vegan literature, and I believed veganism was the healthiest way to eat. Then one day, I realized that my toddler daughter was not thriving (nor my husband or myself upon honest inspection). This was despite my serious commitment to providing her with what I believed was a nutritionally complete diet, and spending a small fortune in the highest quality supplements. The short version is that I’ve done a complete, 180-degree reversal from my plants-only diet days. 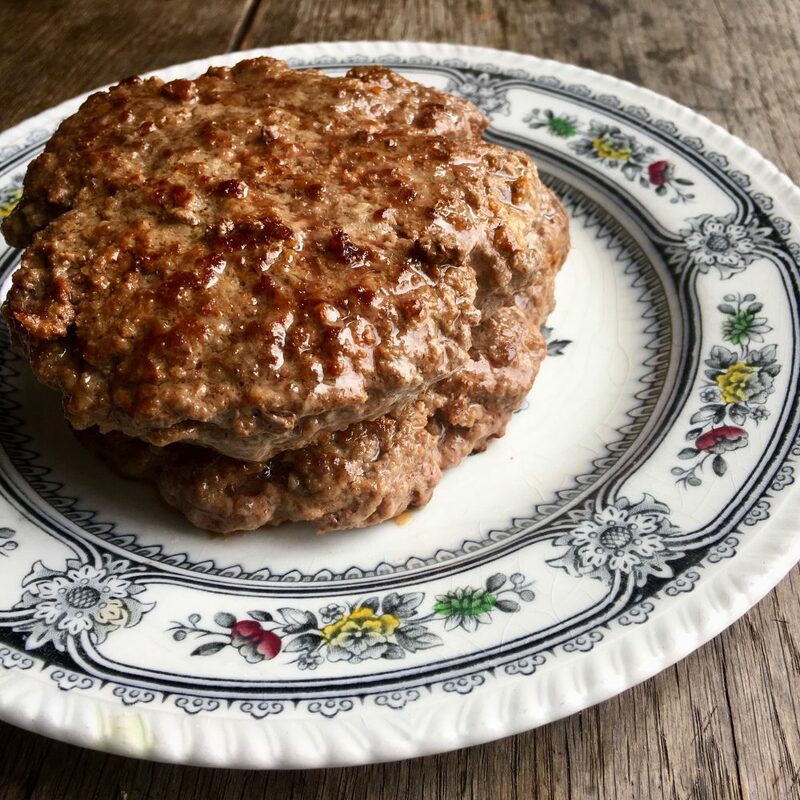 The Carnivore Diet Handbook will show you why I’m eating this way and how you can get the benefits, too. Things like finally losing the weight you’ve always wanted to, only this time it’s EASY and delicious. You can experience what it’s like to not be addicted to sugar or carbs. If you have acne, this diet is amazing for giving you gorgeous clear skin. If you have aches and pains in joints or muscles, they are dramatically reduced of go away all together. It’s an amazing diet and you should try it today. I love it! If you’re wondering about how you could feel better, get more energy, lessen inflammation in your body, and lose weight, then a carnivore diet is for you! 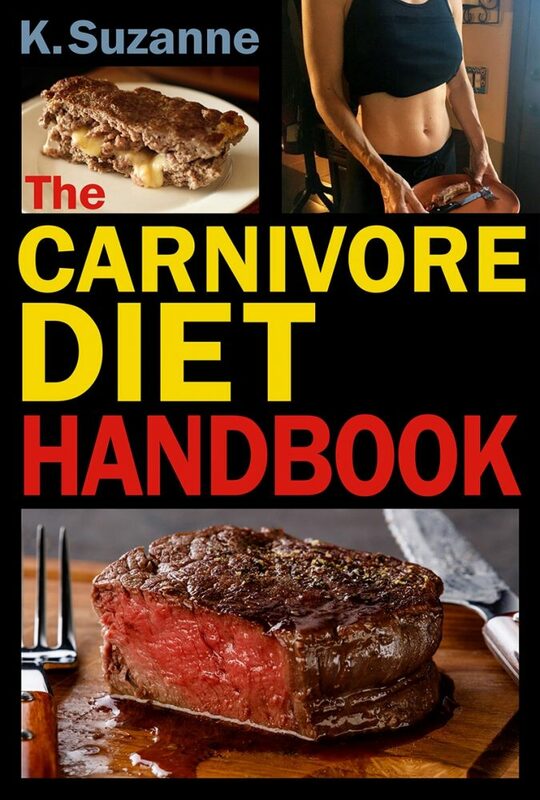 Buy The Carnivore Diet Handbook TODAY ! Your body (and taste-buds!) will thank you. Get My New Cookbook: Kristen Suzanne’s EASY Gluten Free Cookbook! I am in the UK right now, specifically the Isle of Wight. It’s cold, rainy, and slow cooker stew has been on the menu more nights than not. This particular 4-Ingredient Stew (and that includes the sea salt!) has been made four times this week alone! So easy, maybe the easiest dinner I’ve ever made. So delicious, easily one of our favorite’s. Apart from the wonderfully tender beef, the main secret ingredient is the Boursin “garlic and cheese” spread. If you’ve had it, you know. If you haven’t had it, you’re welcome. Boursin cheese is wonderfully addictive. So creamy, flavorful, and delicious. In fact, I think I’ll go search on Pinterest for this item, I’ll bet there are tons of recipes. 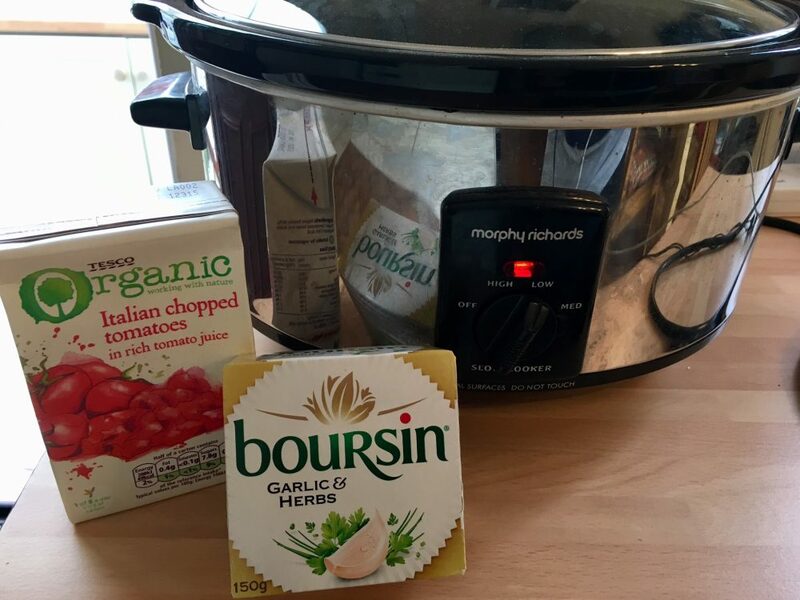 Let’s make this slow cooker stew! Season the beef with the salt. Pour the tomatoes into the slow cooker, smash if needed. Add the seasoned beef. Turn the slow cooker on to low or high, your choice. If it’s low, it might take up to 8 hours for fork-tender beef. If it’s high, it might be done in 4 hours. You decide and then check on it. If it’s not fork tender, wait another 30-60 minutes before checking again. When it’s tender, scoop in the whole package of cheese and stir it around. 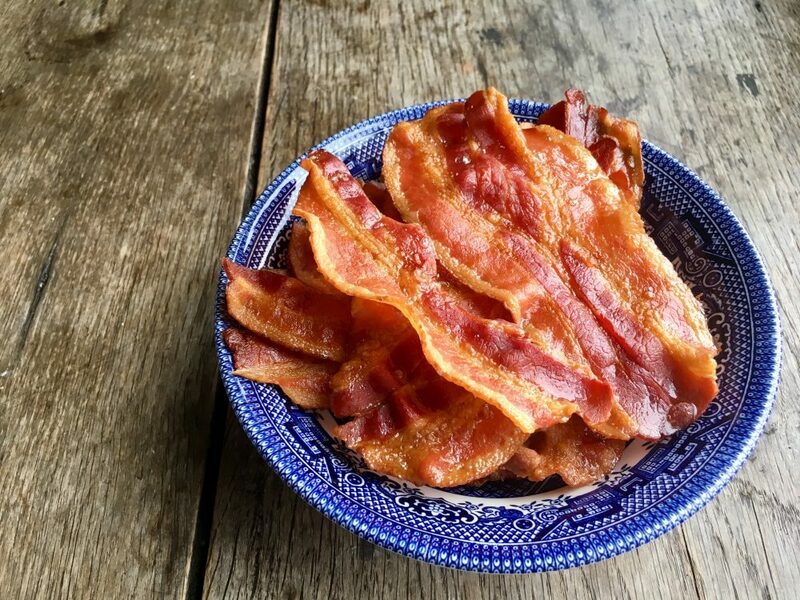 I like having salads for breakfast because they’re fresh, crisp, and get my day started with vegetables. My daughter does, too. One day I simply presented it for breakfast and she ate it. No questions. And, why not pancakes for dinner? Or sourdough french toast for lunch? My daughter is also keen for pizza at breakfast (frozen gluten-free crust cooked with organic tomato sauce or tomato paste, sea salt, and raw, grass-fed, mozzarella cheese). It takes longer to make than a bowl of cereal (something we’ve never done in our house), but it’s worth the extra few minutes. Miso soup is a great breakfast, too, especially on a chilly winter morning. Try that instead of coffee. Well, maybe not instead of, but perhaps after your first cup. Omelets for lunch slathered in grass-fed whole-fat Greek yogurt. Yes. Some nights we do savory oatmeal mixed with scrambled eggs. Mix up the meals, no need to stick to tradition. Doing so can make it easier on you, because you can cook in the moment, with what you have on hand. Trust me, the family will enjoy it. I even fed my family dessert for dinner one night. Whoa, that was a fun surprise… Grass-fed ice cream with gluten-free chocolate chip cookies. Toss it together. Start the day right. * I’m on an epic olive oil kick right now. Ever since I was enlightened to the fact that you can cook with extra virgin olive oil, I started consuming more. Funny though, the learning inspired me to buy more but then I started eating more salads and drizzling it raw on everything. Still(! ), one can (and should) cook with it. More on that here. In my search for TRUE olive oil, because did you know they’re not all “true” (more on that in future posts or just read this book, Extra Virginity), I learned about the throat burn of olive oils, high polyphenols, processing, origins, health benefits, etc. I’m Italian and I should’ve known as much, but I didn’t. Better late than never. 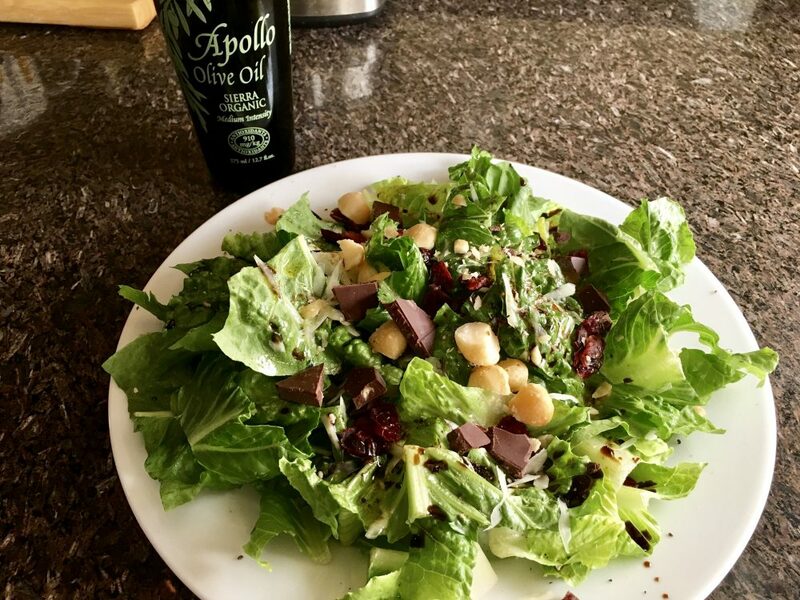 This olive oil from Apollo Olive Oil keeps it local, California, and is a trusted source for TRUE olive oil. It’s fabulous. One of my favorite aspects is the bottle – it should always be a dark container and never clear glass – I love it’s pouring spout and wood top. Adorable. Smart. Delicious. Olive Oil… In My Coffee – Can You Imagine? 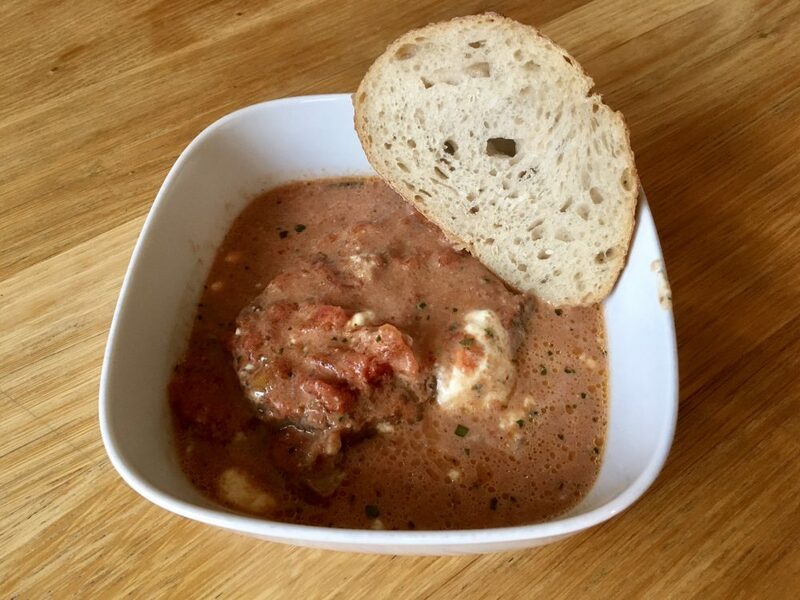 Recipe: 1-Pot Beef Heart Goulash (Gluten-free). Perfect for Valentine’s Day! I only cook black beans using the Instant Pot. Black beans in the Instant Pot pressure cooker… that’s the only way I’ll cook ’em cuz I’m guaranteed an easy experience. Instant Pot for the win. Again. The Instant Pot cooks them faster and better, plus supposedly making them easier on the digestion. I usually cook about 2 cups (that’s 2-cups dried, before soaking, amount), which yields plenty with which to enjoy in various ways. Soak the beans overnight for the best experience (or at a minimum soak them in the morning to cook for that night’s dinner). 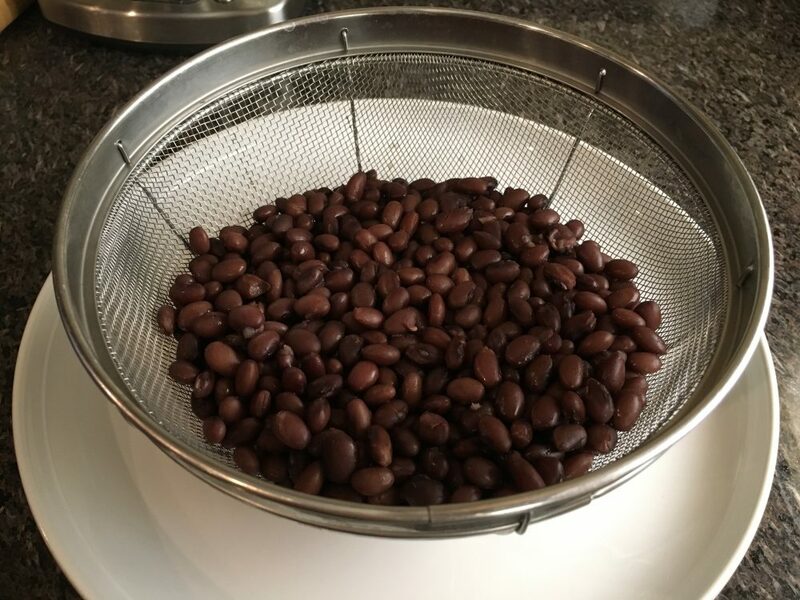 This means you put the beans in a fairly large bowl, depending on the amount you’re soaking, and add enough water to more than cover them because they’re going to soak up a lot of water. Let them soak on the counter, no need to refrigerate. Put them in the Instant Pot. Add enough fresh water to “healthily more” than cover them. Put the lid on correctly. Power it to HIGH pressure for 25 minutes. Once the timer is done, let the pressure release naturally, slowly. Enjoy your beans. Top on salads, mix with salsa and cooked rice, add to soups, throw on top of some scrambled eggs. 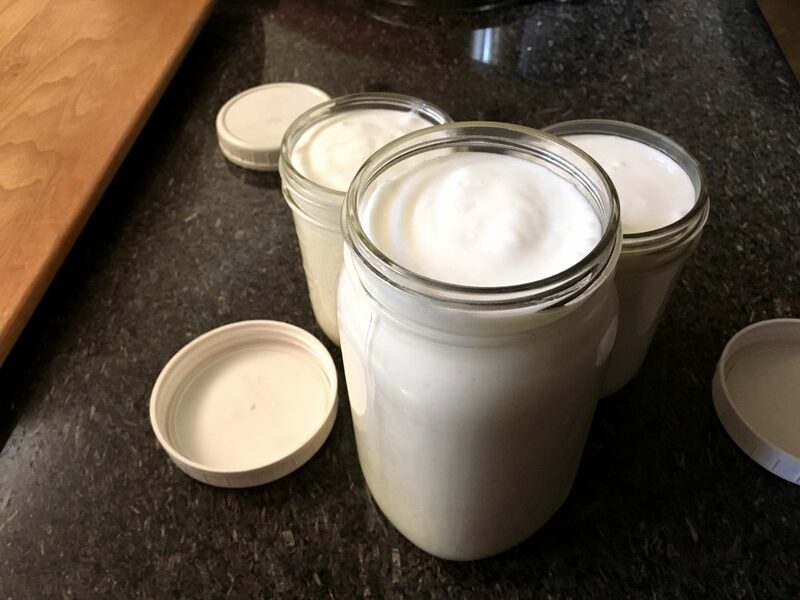 Homemade yogurt from the Instant Pot. I used to make yogurt a lot back when I used my Sous Vide. It was fairly easy, but not without its hassles, so after awhile I stopped. After getting an Instant Pot and hearing how easy it was, I had to try. Super easy. Saves money. Awesome. Did I mention that it SAVES MONEY? I’m hooked. It’s one of the best reasons for getting an Instant Pot, other than how an Instant Pot helps my family eat like 4X as many veggies, turning cheap cuts of meat tender super fast, and more. 1) Pour the milk only into the Instant Pot. Press “Yogurt” button, then press the “Adjust” button until the screen reads “boil” (pictured below). Place the lid on, it doesn’t need to be locked or sealed. Take the lid off and stir the heating milk a few times during the heating, replacing the lid each time you take it off. You want to get the milk to 180 degrees F. This takes about 25 to 30 minutes. 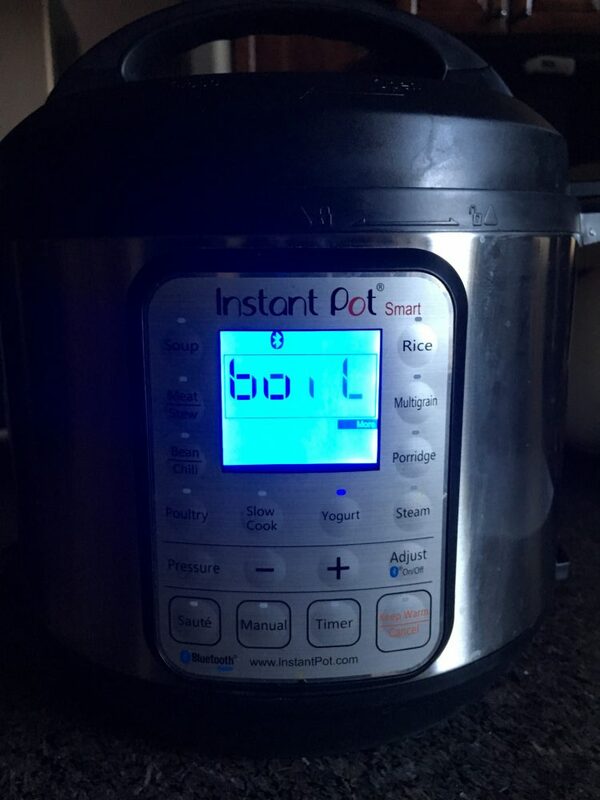 Take the lid off to test the temperature with a thermometer when the Instant Pot claims it’s done. 2) Take the lid off, if not already. Turn the Instant Pot off, if not already. Let the milk cool until it reaches 105 to 110 degrees F.
To speed up the cooling, remove the insert from the Instant Pot and place on a cooling rack, or in a cold water bath if really in a hurry. Generally the cooling takes from 20 to 45 minutes depending on whether you take the insert out or keep it in the Instant Pot to cool. 3) Put the insert back into the Instant Pot base if you took it out for cooling. 4) Place the lid back on. Again, it doesn’t need to be locked. Press YOGURT (normal). Adjust time to 10 to 12 hours based on preference. The longer the tangier (I usually do 12 hours). Walk away. Leave alone. (I usually do this part overnight). 5) When it’s done and the screen reads YOGURT, transfer the insert and lid to the refrigerator to chill / set for 3 to 4 hours. 6) When it’s chilled, then you can whisk it (not necessary but I like to). 7) Ladle into 2 quart mason jars (or smaller serving glass jars). Store in the refrigerator. From here you can use 2 tablespoons of this fresh yogurt to make future batches. If you accidentally eat it all and forget to save a couple of tablespoons, buy a yogurt from the store to start another fresh batch. *Note: I usually have Greek yogurt on hand because Kamea loves it, and that’s why I use it to culture the milk into yogurt using my Instant Pot. However, you can use any good yogurt. 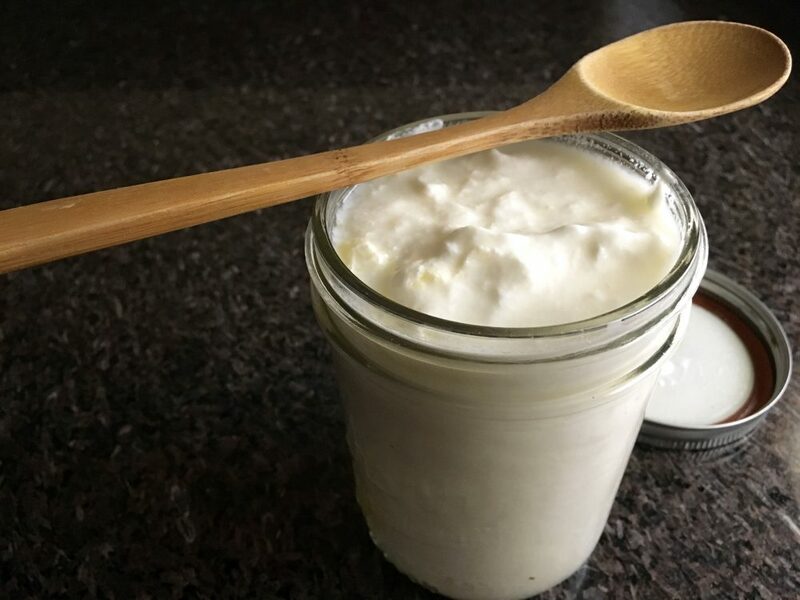 Using a Greek yogurt will not make your Instant Pot yogurt a Greek yogurt. To do that, you’d have to strain the whey off the yogurt you make for a Greek yogurt.